Yes, the Mother City is jaw-droppingly stunning, but venture a little further and you’ll see that the scenery extends beyond Cape Town too. Here are five excellent day trips with central Cape Town as a base – so get your camera (phones) out cos this is sure to up your IG game. What: Extending some 60km southwest from Cape Town, the Cape Peninsula is bordered on the east by the False Bay seaboard, which is known for its slightly warmer waters (fed by tropical currents), as compared to the waters of the Atlantic Seaboard which feeds the beaches on the west of the peninsula. All around the peninsula, magnificent vistas, charming little beach towns and inquisitive animals (think penguins, ostriches and baboons!) beckon. Why: See the colourful beach houses at Muizenberg, browse the bohemian shops at Kalk Bay, have lunch at Fish Hoek and say hi to the penguins (and gelato!) 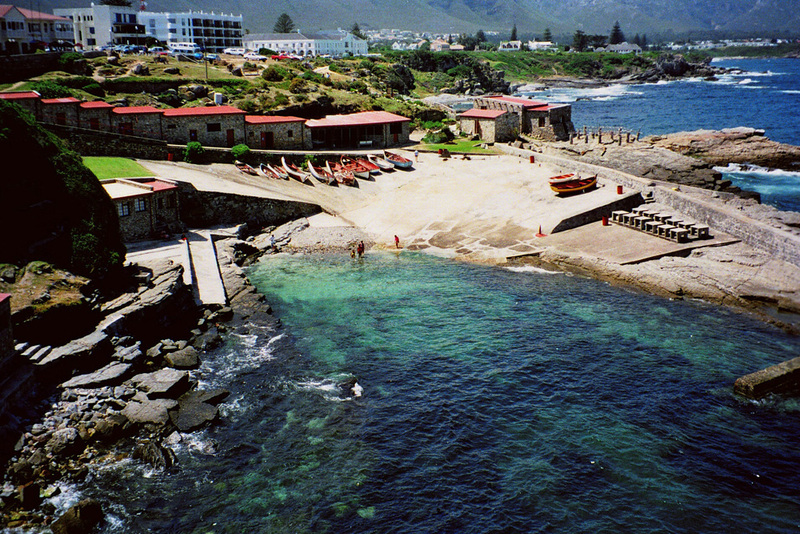 at Boulder’s Bay, then make your way up to the Cape of Good Hope. Once you’ve visited the Cape of Good Hope, make your way back down the Atlantic Seaboard side to pass the misty cliffs of Scarborough, culminating with the spectacular Chapman’s Peak drive at sunset (remember to check if it’s open). Where to start: From Cape Town, go south to Muizenberg, then follow the M4 to the Cape of Good Hope. Once you’ve explored the surroundings, take the M65 down the Atlantic Seaboard and back to Cape Town. How long? Total drive time is just over three hours, but we suggest you leave an additional three hours for the various opportunities to shop, sightsee and get that ‘gram. What: A braai is more than just a barbecue in South Africa, it’s a social event. This much-loved tradition is most commonly seen in the summer months, it is also the prefect excuse to celebrate (anything!) and bring friends and family together. If you are a visitor to South Africa, you might not have the opportunity to join one of these dos — and that’s where we’ve got you covered. Why: Kill two birds with one stone with a braai in the Cape Winelands. Middelvlei Wines in Stellenbosch serves an authentic braai lunch, with traditional dishes such as boerewors (sausages) and koeksisters (syrupy doughnuts). After lunch, continue with an exploration of the (other) stellar vineyards in the area such as the award-winning Rust en Vrede – South Africa’s premium red wine estate (don’t leave without a bottle of shiraz and cabernet!) and the organic Reyneke Wines, their Reserve reds and whites have achieved international acclaim. Where to start: From Cape Town, follow the N2 about 50km east. How long? Total drive time is two hours, we recommend spending a total of three to four hours over lunch and touring wineries in Stellenbosch. What: South Africa is known for its stellar marine wildlife watching! From June to November, spot Bryde’s, Humpback and Southern Right whales on their annual migration. Why: Book a whale watching trip in Hermanus (the heart of the whale watching route) and enjoy the added perks of spotting dolphins, seals and even great white sharks. There are various walks, viewing terraces and even kayaking trips to suit every type of whale watcher. Alternatively, the little town of Gansbaai further southeast also offers a more laid back approach – pack a picnic or buy a takeaway lunch, wrap yourself in a shawl, and sit on a bench on the cliffs, you can count the calving whales swimming by from this vantage point. Where to start: From Cape Town, follow the N2 southeast. Hermanus is 120km away, while Gansbaai is 160km. How long? Total drive time is just over four hours, we recommend spending a total of three to four hours over lunch and whale watching activities. What: Acclaimed as one of the ‘greatest botanical gardens in the world’, Kirstenbosch National Botanical Garden lush biodiversity and zen surroundings are a change from Cape Town’s coastal and bush areas, and spring and summer time bring new colour and vibrancy. Close by, Groot Constantia, a historical vineyard founded in 1685, makes a perfect combination for a day out in the interiors of Cape Town. Why: Begin with a morning stroll through the gardens, with Table Mountain as a backdrop and an abundance of flora and fauna, the views here are something else. Head to the heritage precinct of Groot Constantia (South Africa’s oldest wine estate) after, where you can dine at one of two restaurants, tour the estate and taste the legendary wines. Where to start: Take the M3 southeast to Kirstenbosch, and from there the M63 will lead you to Groot Constantia, a total of 18km from Cape Town. How long? It’s a one hour return trip, though we suggest you spend up to 2 hrs each at both locations. What: Langebaan is a coastal town in the Western Cape province of South Africa, part of the West Coast National Park. It also boasts a delightful and rustic restaurant, perfect for a nature-lover’s day on the coast in the spring and summertime. Why: We have so much love for the sun-soaked, casual seafood barbecue on the sand at the quirky beachside restaurant, Die Strandloper (think mussels, fish curry, smoked fish and rock lobster). Spend all day at the beach here, or walk off your meal with some amazing bird and game viewing (tortoises, ostriches, springbok, cape mountain zebras) at the surrounding West Coast National Park. Where to start: From Cape Town, take the R27 120km north. How long? A total of three hours of driving, but we recommend an additional 3 hours for lunch and exploration.